The former frontier dividing East and West Germany ran through the Harz, one of the prettiest mountain regions in the north of Germany and erstwhile rich gold and silver mining area. The highest mountain in the Harz, Brocken, 1141 m., was on the east side and hosted a forest of antenna's and sniffing devices aimed at the West. The forests on the eastern side were managed less intensively than on the western side. Probably the differences are still noticable. The trail runs from west to east, climbs Brocken and descends into the Bodeschlucht. In 2008, the Harzer Hexensteig was elected the best German trail. 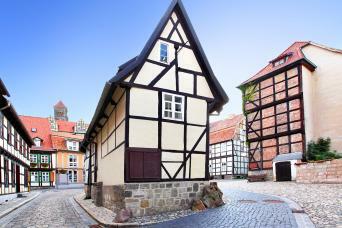 Don't forget to visit Goslar or one of the other very old towns on the northern edge of the Harz. Positive My friend and I passed the nights in shelters along the trail. but there is always the opportunity to overnight in a hotel or hostel. The trail is very well maymarked. Negative You don't really have the wilderness feeling because it is a very popular trail. but if you don't go in the hiking season you can find times and parts of the trail without seeing many people. Positive Goed gemarkeerd. Fijne route voor het hele gezin. Joint website by the Harzer Verkehrsverband and the Harzklub, giving general info on the Harzer Hexenstieg. 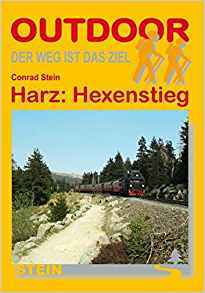 Excellent page in English by Fernwege.de on the Harzer Hexen Stieg, the Harz Witches' Trail. 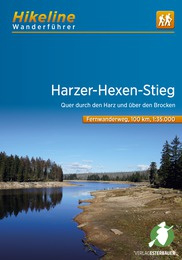 Excellent page by Fernwege.de on the Harzer Hexenstieg, with sketch maps, route description, GPS donwload, documentation. Interactive website where you can follow in the witches footsteps. 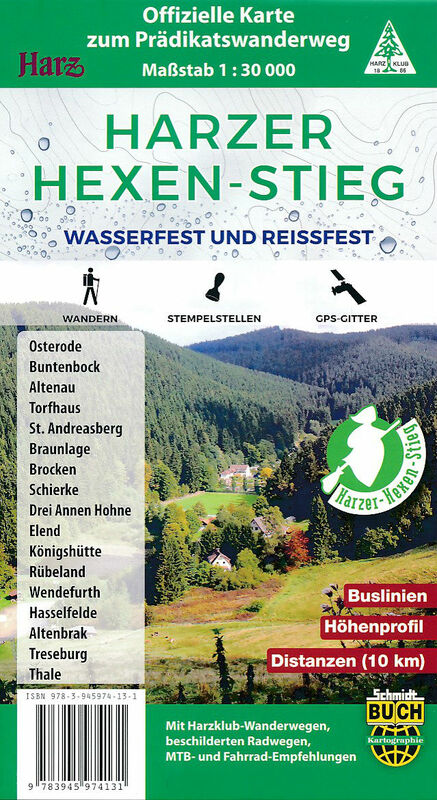 Information compiled by the tourist organisation of the Harz. Description of the different villages on your way. Day to day blog of a four day hike along the Hexenstieg. Trail report by the Wanderfreunde Leidenhofen. Rita Taube describes her hike. "Zwei Südtirolerinnen allein im Harz": trip report.